Everlast Services (formerly known as Everlast Fencing) are the experts in residential fencing. We are experienced in all types of residential fencing and love creating quality, modern fencing solutions for an affordable price. Whatever your needs, Everlast Services will provide a residential fencing solution that will work within your budget. 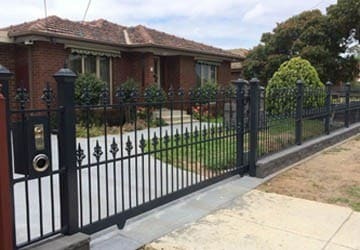 The owners of this house in Werribee were incredibly happy with our residential fencing services. 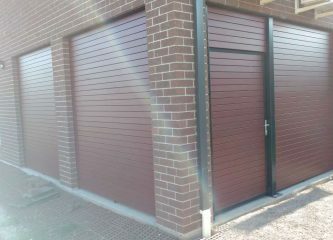 This project involved the installation of a custom-made high and low double spear head fence, with a motorised sliding gate, a mailbox and heritage style heads and fence caps. Usually, a custom-made fence like this would carry an enormous price tag. That’s because other fencing companies have to outsource the steel fabrication of their custom fences. 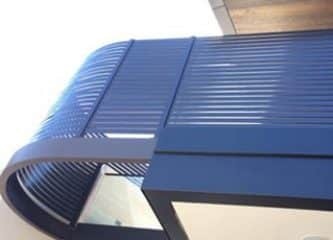 Everlast Services has its own steel fabrication factory in Hopper’s Crossing; meaning we could do all the fabrication ourselves and give the client the fencing they wanted at a reduced cost. At Everlast Services, we only use quality products and employ quality people. The new fence has lifted the look of the entire house. The powdered black coating has given a sleek edge to the red brick home, while the heritage features have given the entry point to the home a sense of grandeur. The motorised gate adds security whilst also increasing the ease of access to the home. We did our research and made sure we chose a quality motor. 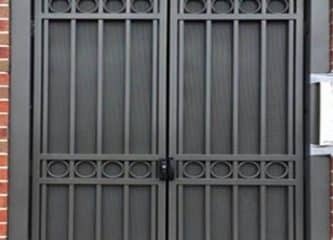 The gate runs quickly, smoothly, makes very little noise and the client can expect it to remain in perfect working order for many years to come.